The folks at Cross Country Cafe cannot wait until September 29th, when they are starting their National Coffee Day celebration now and you are invited to join them! Now through September 30th you can save $30.00 on all K145 Keurig brewers using coupon code 30offkeurig910, this puts this high quality commercial grade brewer at $99.99, free shipping and 12 K-cups are included! But, wait it gets better. 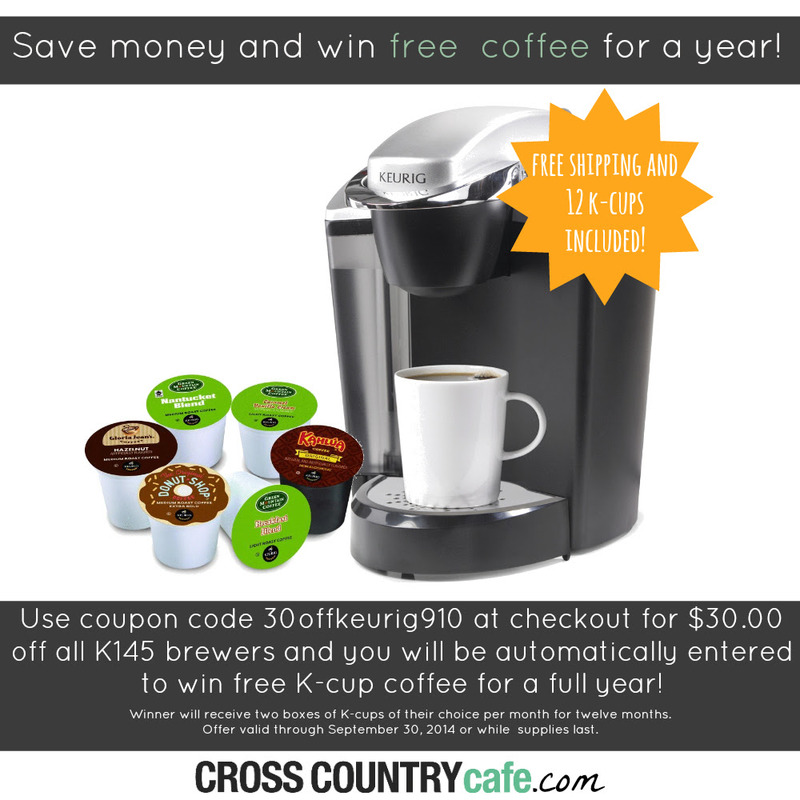 All purchase made using this coupon code will be automatically entered into a drawing to win free K-cup coffee for an entire year (2 boxes per month)! Happy National Coffee Day, thank yo for celebrating with us! Shop Your Way Members Get $5! Join Now!! !